Unparalleled in grandeur on Oahu x2019;s emerald Windward side, Kai Moena, x201C;House of the Resting Sea, x201D; is a stunning oceanfront estate that reflects a skillful merging of modern architecture and luxury design. Inspired by Hawaii x2019;s culture and climate, this 60,000 sq. ft. property with over 250 linear feet of pristine white sand was owned by the storied Rothschild family. Kai Moena is comprised of two main residences including ten bedrooms, eight full bathrooms and three half baths. Rich tropical hardwood accents and textured finishes to the high vaulted ceilings give a warm opulence and living spaces flow seamlessly between indoors and outdoors for maximum ease. Luxury amenities include two fully appointed kitchens with granite countertops, a tennis court, dry sauna, fitness and media rooms, and a lagoon pool. One of Hawaii's Finest Beachfront Estates. xD; xA;Completed in 2012 and designed by award winning Gast Architects of San Francisco this home has received the GOLD certification from LEED. Built with traditional Hawaiian roof forms this remarkable home blends in and stands out on one of the worlds most famous beaches. With over 11,000 square feet of indoor outdoor living this property has integrated sustainability and smart home features including: energy efficient lighting,audio/media, whole home water filtration,climate controlled pantry, heated pool, security, pv+ solar, elevator, backup generator with ust etc. xD; xA;Privately gated with 125 feet of beach frontage this estate affords all the amenities expected from a luxury resort. Rare Kailua land sale! Prime S. Kalaheo Ave location. 37k+ s.f. street-to-beach lot situated on one of the best stretches of Kailua beach. This could be the last opportunity to build your tropical dream home or develop your own private compound with up to 3 homes. If the sands could sing, you x2019;d hear the sweet melodies of Hawaiian music kanikapila-style as this property once hosted many of Hawaii x2019;s famous musicians. Pick your beach-front pleasure, windsurf, kiteboard, SUP, dive, paddle, or just relax on the sand and enjoy the warm turquoise waters of famed Kailua Beach -all in near proximity to laid-back Kailua Town, home of quaint shops, boutique stores, Whole Foods, Maui Brewing Co., Roy's new restaurant, Goen, plus a Target. Truly the opportunity of a lifetime! Make it your's today! BEACHFRONT x2013; True Hawai'i charm located on WORLD-FAMOUS KAILUA BEACH. Steps to turquoise waters ideal for wind/kite surfing, kayaking, swimming, and relaxing sunset/sunrise walks along the gorgeous white sand beach. Prime 26,916 sf parcel with 75 linear feet of beach frontage includes a 4 BR, 3 BA home and a detached 1 BR, 1 BA beach cottage perfect for guests or family. Main home is set back from the ocean with a sandy knoll providing beachside privacy. Expansive lawn offers room for a pool. Opportunity to remodel or build your dream beach estate. Both homes are licensed for short-term vacation rental use. Casual indoor/outdoor beachfront lifestyle on the best part of Kailua Beach close to Kailua town, Whole Foods, shops and restaurants. Build a home you've always wanted directly facing the iconic Mokulua Islands. 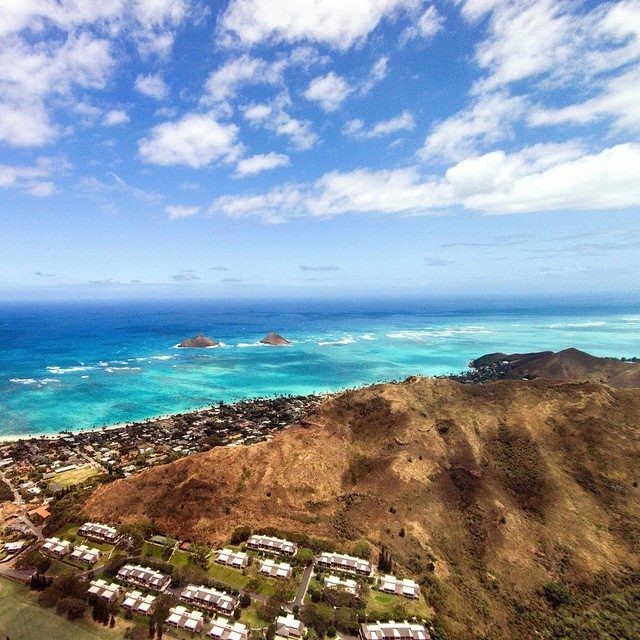 Live life Lanikai style, with sunrises, moonrises and world class water fun at your doorstep. Feeling active? Swim, SUP, surf or paddle, keeping an eye out for seals, whales, or turtles. Feeling lazy? Relax as you enjoy the ever changing turqoise waters and surf along the reef. Golf, social, and fitness on the Loop at nearby Mid Pacific Country Club. Permitted seawall, flood zones AE and X.